Frequent Asked Questions about Watches, Shipping, Policies etc. 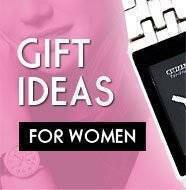 Why should I purchase from CreationWatches.Com? Fair question. Here is why we think you should. We will ship out your watch by DHL Express or by Registered Parcel, depending on which option you chose while checking out. Both methods of shipping are safe, and require acknowledgement of receipt of package by the recepient. We normally ship your watch within 1-3 days after you have successfully placed your order. For CreationWatches.com to ship your watch order as fast and hassle-free as possible, make sure you provide us with your preferred complete shipping address together with a phone number where you can be contacted. This is to ensure that you can be contacted by DHL or your local post office in case you are unreachable. If your delivery status shows a delay of more than 5 business days, we will attempt to contact you. We ship to all major international locations. For a complete list of countries we ship to and shipping information, please click here: Shipping Information. If your country/territory is not in the list, email us and we will quote you on whether we can ship to your address and the shipping expenses. Can I request for my order to be sent to another address than mine? Yes, just provide us with the shipping address you wish to have your watch delivered to. If your shipping address is in a country different from your billing address, we may ask you for additional information before we ship your order. Do you charge any tax on your products? For exports, CreationWatches.Com does not charge any additional tax on the prices listed on our website. You only pay what you see. For some countries, you may be charged import tax by the customs of your country which is the same as the GST or VAT in your country. However, in such rare cases even with the tax you will end up saving substantially by shopping with us. Do I need to be there to receive the delivery? We highly recommend that you have a person available to sign and receive the order(if applicable). 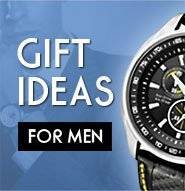 Is CreationWatches.com an Authorized dealer? We are not authorized dealers for the brands we carry, because we want to offer you lower prices. We source our watches from distributors around the world. All our watches are 100% genuine, authentic and brand new. We have a long history of satisfying customers with 100% brand new, complete, authentic watches, attentive customer service, and fast shipping. We believe that the benefits we offer make us the best choice to satisfy your watch needs. We hope you agree, and we look forward to serving you. We accept all major credit cards, through PayPal or Braintree - a PayPal owned company. Both forms of payment are completely safe. PayPal is endorsed by eBay and trusted by millions, while Braintree is amongst the leading merchant solutions providers with strong security measures. We do not have access to your credit card numbers or financial information and hence we do not store it anywhere either. Only PayPal and Braintree use that information to process the payment. What are CreationWatches return and refund policies? Please click here for our return and refund policies. The watch I am looking for appears to be out of stock? Please contact us and we will reply back to you as to the availability of the particular watch. Write to us with the model name and we will see if we can get hold of it for you. Once we send out your item for shipment, we will send you an email with the tracking number for your package(s). I would like to exchange my watch, what do I need to do? Please refer to our refund and exchange policies for more information. You can also email us to enquire.